The Best Statement of Facts … Ever. When I was a Staff Attorney for an Associate Justice of the Alabama Supreme Court in the 1990’s, I read countless appellate briefs. I really only remember one. That brief contained a Statement of Facts that opened my eyes to how well an appellate brief could be written. It was simply the best Statement of Facts that I have ever read. It was a wrongful death case. A single mother was killed in an automobile accident. She had pulled out onto a county highway from a local road at dusk and her car was struck by a logging truck going well over the posted speed limit. 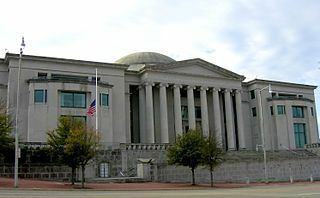 The jury had awarded a sizeable verdict for the decedent’s estate and the Alabama Supreme Court, then composed of a majority of Justices elected as business-supporting Republicans, affirmed the verdict without opinion. I don’t recall the name of the case, the details of the facts, the exact size of the verdict (though I recall thinking it could have been much, much higher), from what county it arose, or the attorneys involved. All I remember — now about 20 years later — is the way the Statement of Facts was written. It was in a style I hadn’t seen before, nor yet had the opportunity to completely emulate in my own appellate brief writing. The brief — based upon a great deal of hard work in discovery I am sure — told the story of the last day in the life of the young mother whose tragic death was caused by the speeding truck. It told that story by also telling the story of the driver of that truck. Through the statements of those who were around them that day, the brief described how each started their day. How each spent their morning, their lunch, their workday. It told of what they wore, what they ate, what they talked about and other intimate, human details. The reader became familiar with a hard-working young mother and the driver of a logging truck who often threw caution to the wind. As the events of the day unfolded and the lives of these two people tragically intersected, the brief — like a movie screenplay — shifted the scene back and forth from the mother and her day to that of the truck driver, told mainly by quoted witness testimony rather than ordinary narrative. As the fatal moment the reader knew was going to occur drew closer and closer the tension in reading the brief was palpable. It was early evening and the truck driver had dawdled too long for a late lunch and needed to exceed the speed limit on the rolling country highway to get his load of pine logs to the sawmill on time. Another driver on the highway estimated he was going as fast as 75 miles per hour even as the sun was setting and the fogginess of dusk crept in. And as the driver pressed forward on the gas despite decreasing visibility on the road that cut through part of Alabama’s Appalachian terrain, the mother left her mobile home in her own small car. I can’t recall whether she was running an errand to the grocery store or to a second part-time job, but you imagined her thoughts were on her children, who were the joy of her difficult life, left behind with their grandmother, as she turned left from a stop sign and onto the highway from an intersection near the abrupt rise of a hill. And then instead of any attempt at narrative description of the horrific collision, the brief simply left you with the photos of the scene. The marks on the road from the truck’s impossible attempt to stop as it had hurtled forward at break neck speed over the rise of hill that had obscured its approach. Then the jack-knifed truck laying sideways and its load of pine logs spilled and piled askew like mere children’s pick up sticks. Then the car … torn, crumpled, and ruined, emblematic of the life that had been within. You really didn’t need — or want — to see any more. Though I’ve not ever worked on an appeal with such powerful facts, I still aim to do the best I can when appropriate in writing a Statement of Facts following the example of this brief. Descriptive. Powerful. Memorable. So now that I’ve shared it with you, give some thought as to how you can do the same. If you feel you may need help with writing an appellate brief, or just have a question about appellate practice, feel free to contact me through the web site for my freelance legal writing service, Appeals and Briefs by Michael Skotnicki, Esq., found either through clicking the logo on this page or via this link, www.appealsandbriefs.com.